Unlock the door to greater independence and a healthier life with Move4Life Fitness! Today, we know a lot more about older adults and their need to exercise. Regardless of one’s health or physical abilities, as an older adult you can gain a lot by staying, or becoming, physically active. Even if you have difficulty standing or walking, you can still exercise and gain many of the physical and mental benefits exercise can provide. In fact, in most cases, you have more to lose by not doing anything, so let Move4Life help get you moving! · Helps maintain & improve your physical strength. · Helps improve your ability to do the things you want in life & helps you to maintain your independence. · Helps you improve your balance & avoid falls. · Keeps joints, tendons & ligaments more flexible, making it easier to move around. · Increases energy & promotes a sense of well-being. · Helps manage & prevent diseases like diabetes, heart disease, high blood pressure and osteoporosis. · Improves heart health, relieves stress and may improve or maintain some aspects of cognitive function. With the right exercise program, you can look forward to an active life filled with the pursuits you love! As a Certified Senior Fitness Specialist I can help you safely and effectively reach new levels of strength, endurance and flexibility to improve your balance, increase your independence and make you feel energized & confident! Take action now with one of these great training options! *One-on-One Private Training in your home or at a beautiful local park. Rates for private sessions are $50/per hour. Train with a friend and pay an extra $15/per person. *Fall Prevention Classes: If you are looking to rebuild your balance and strength, fine tune your flexibility, lower your risk of falls, and regain your independence, this exercise program is for you! These evidence-based, fall prevention classes emphasize fall-reduction strategies helping you to reduce your fall risk/fear of falling, improve your mobility, set realistic goals, modify your environment, and increase strength and balance at any age. BONUS!! All of Move4Life’s training programs come with an Eat4Life Food Guide which includes nutrition advice and simple, tasty recipes designed to make healthy eating easier! The guide contains two weeks of nutritious breakfasts, lunches, dinners and healthy snacks for you to mix and match for months of health eating choices! Move4Life is a division of Beyond the Gym Fitness, owned and operated by Debbie Aleman, cpt & AFPA Certified Senior Fitness Specialist. 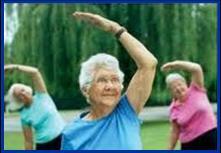 *Pricing for all Move4Life private training and group classes are for participants 60 years old and up.